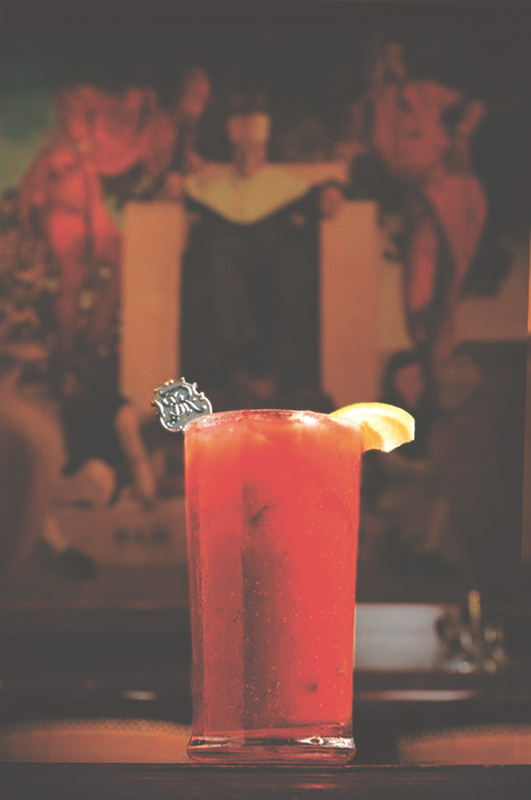 A landmark of timeless traditions, The St. Regis New York has a wonderful, eclectic history. The early hours of April 15, 1912. 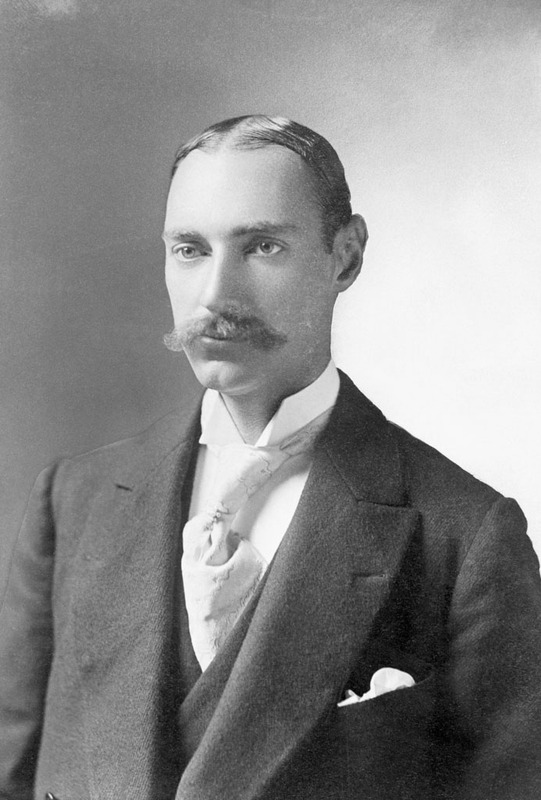 After escorting his pregnant wife Madeleine and her nurse into a lifeboat, and realizing there were not enough lifeboats, Colonel John Jacob Astor IV freed his beloved Airedale dog Kitty from the kennels, and calmly sat in the lounge of the RMS Titanic smoking a cigar, awaiting the inevitable. Was he contemplating what he had achieved in his 47 years? His diverse businesses, his military career, his inventions, his science fiction novel, his hotels? I was thinking about that tragic night while traveling to Astor’s most iconic hotel, The St. Regis New York. 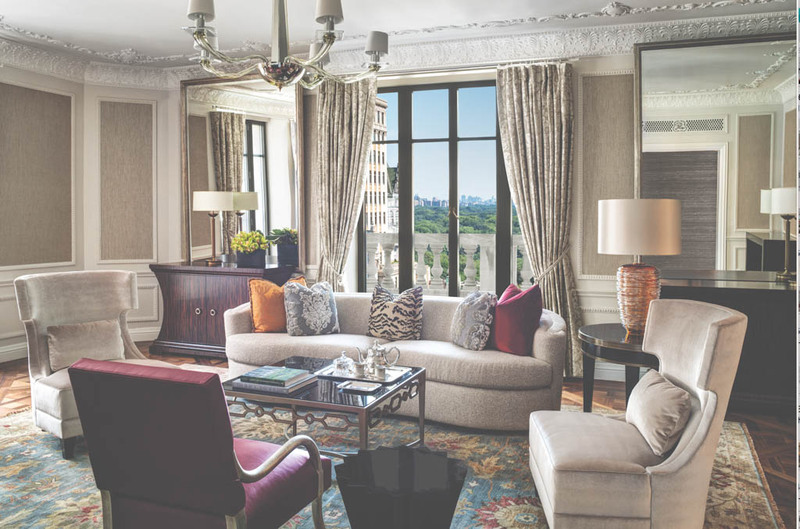 My wife and I were booked into The St. Regis New York for five nights, having stayed at many other St. Regis properties. 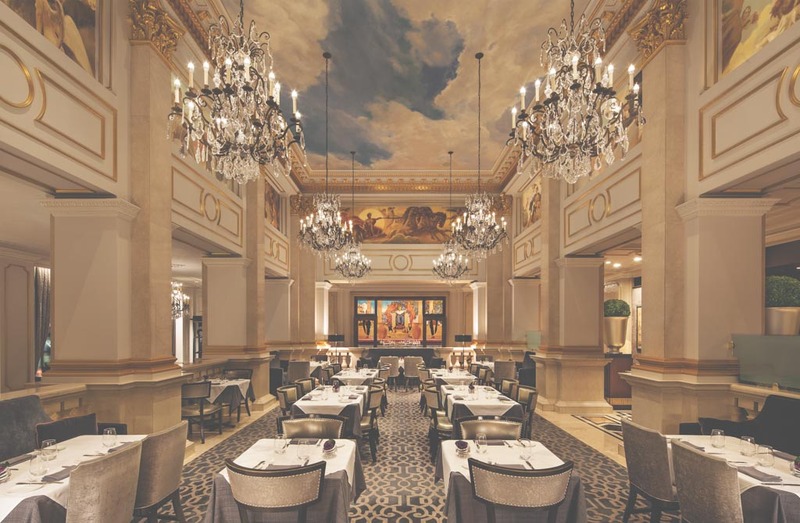 There are now 61 St. Regis hotels across the world, including 28 in Asia Pacific. It was wonderful to be in residence at the flagship hotel, and one of the oldest luxury properties in NYC. 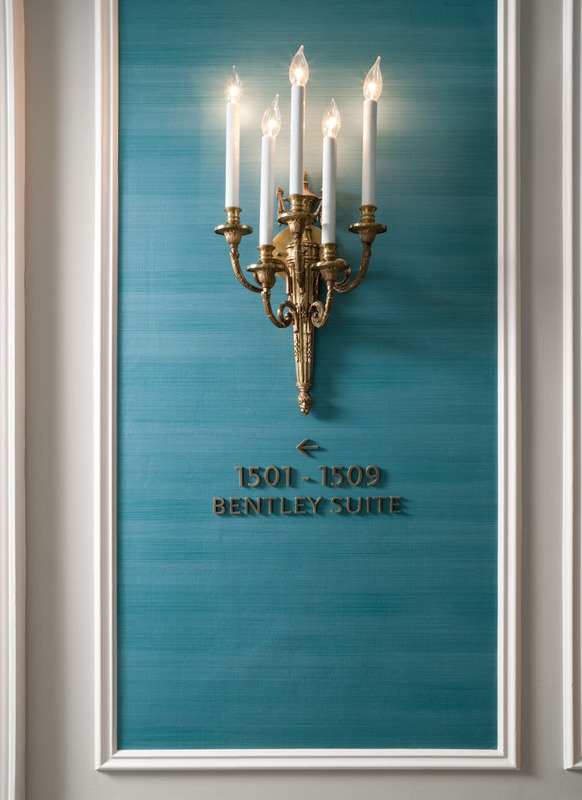 The incredible history of this classic Manhattan landmark is difficult to ignore – from the moment you walk in the revolving doors into the imperious Italian marble lobby with vaulted ceilings and ornate chandeliers, gold-leaf cornices and Italian marble, you are immersed in Astor’s timeless legacy. The St. Regis New York has so many stories. Imagine who has walked these floors. 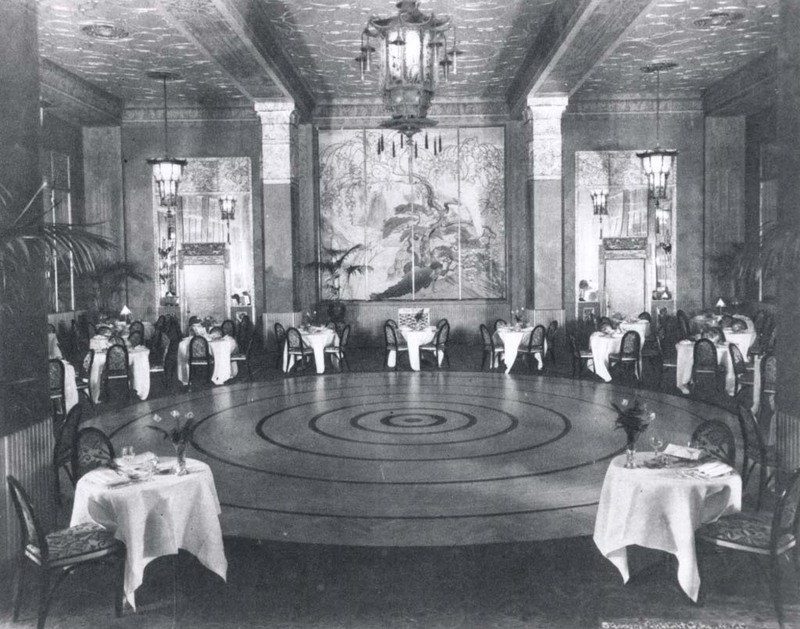 In the early 1900s, Astor was a co-owner of the Waldorf Astoria with his cousin, but had a vision to create an even more luxurious and modern hotel. 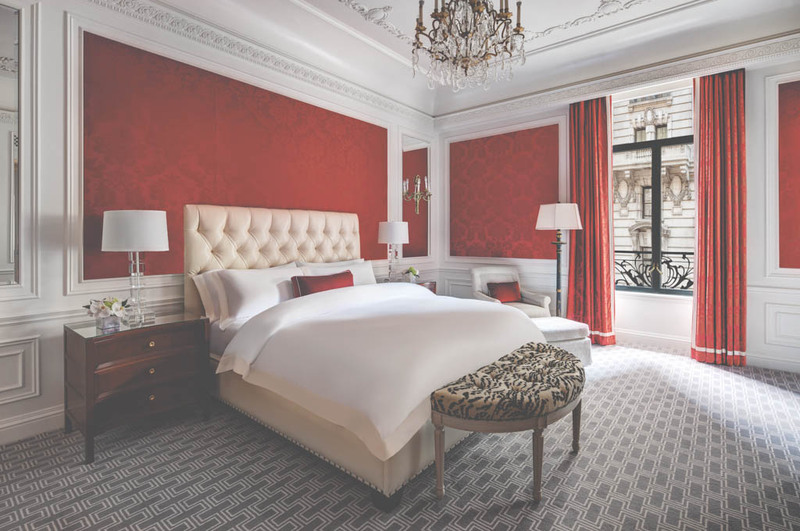 This was to rival Europe’s finest, a lavish urban haven for his family and friends, “as convenient and as luxurious as the most expensive private house in the city.” The guest rooms and suites still have a residential aesthetic and timeless allure. 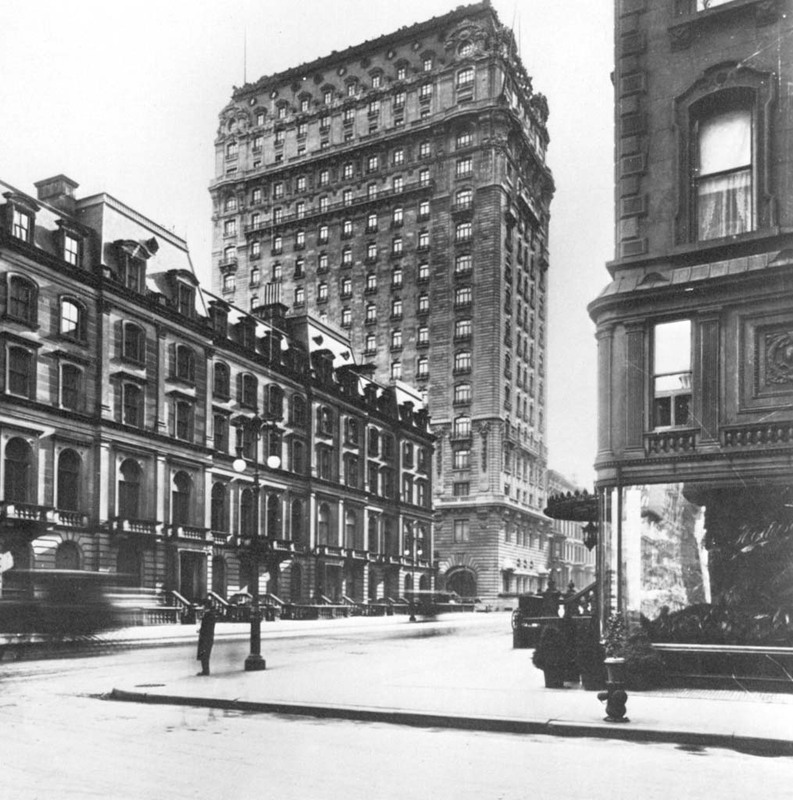 The construction of Astor’s new hotel was marred in controversy. Fifth Avenue and 55th Street was mainly residential, and in 1901 Astor did the unthinkable at the time, buying and demolishing mansions to make way for his hotel. The neighbours along Fifth Avenue, including the Vanderbilts, vehemently objected to what would be an 18-storey skyscraper in their rarefied midst. Construction was halted within a year, when wooden furnishings were deemed to be not fireproofed; Astor overcame this, only for the neighbors to claim the blasting for the hotel’s foundations rattled windowpanes of their mansions. A judge overturned their injunction. Not to be defeated, the neighbours cited laws that a hotel with a liquor licence must be more than 200 feet from a church – the hotel is opposite the Fifth Avenue Presbyterian Church. Astor overcame this by simply moving the entrance of the hotel to 55th Street. 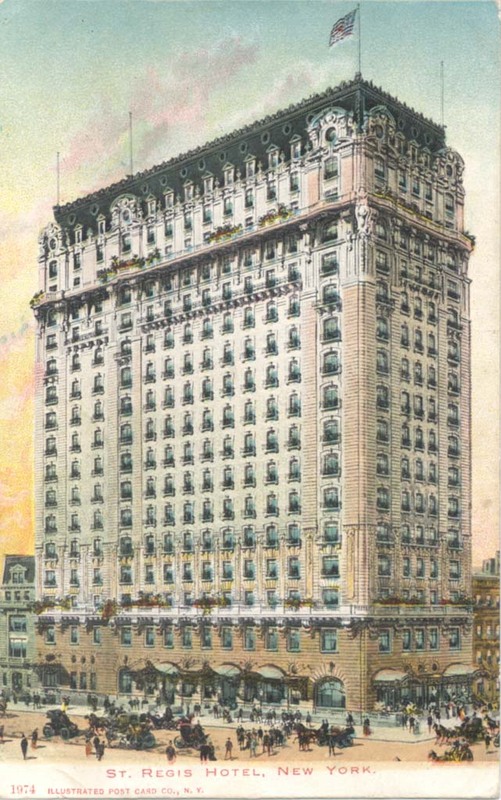 The St. Regis New York opened on September 4, 1904, and soon became the epicenter of Manhattan social life, and the headquarters for the original ‘Astor 400’, the über-elite social group presided over by Astor’s mother, Caroline. 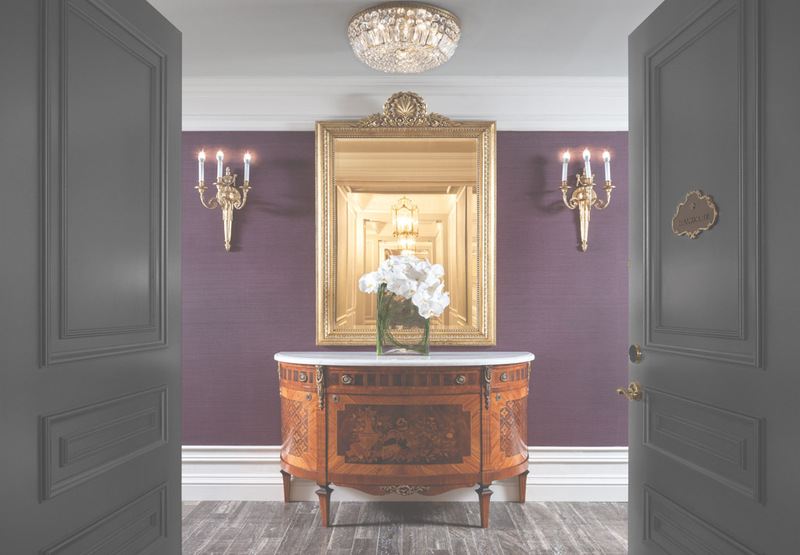 Literally no expense was spared on the lavish Beaux-Arts styled hotel – a staggering $5.5 million, with marble floors, antique tapestries, oriental rugs, crystal Waterford chandeliers, Louis XV furniture, and a library of 3,000 leather-bound, gold-tooled books from Astor’s private collection. 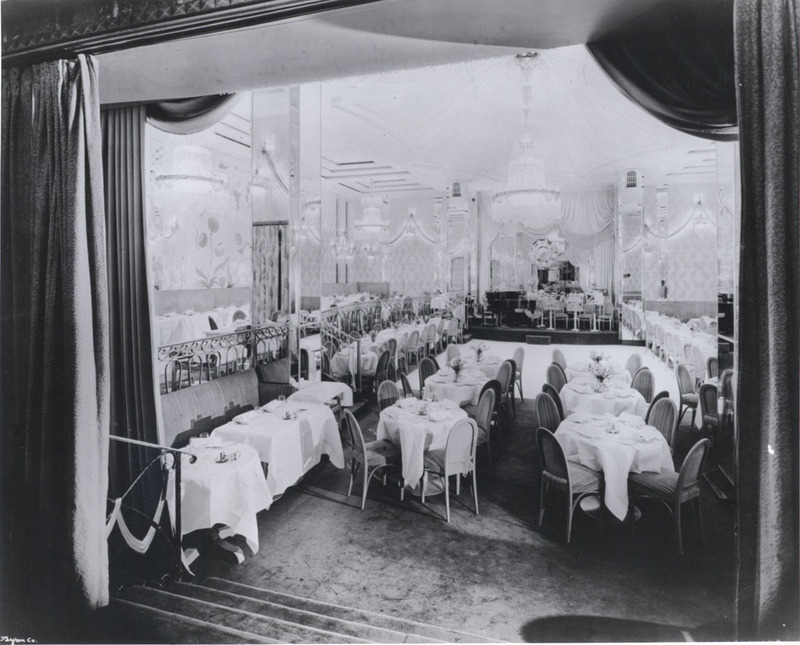 The hotel was heralded at the time as “the most richly furnished and opulent hotel in the world”. We immersed ourselves in the splendour of the famed Gilded Age during an enlightening historical tour of the hotel by Ms. Ilona Manka, Director of Residential Services, who is very passionate about the hotel’s storied history. When you are in residence, or visiting The St. Regis New York, make sure you take the time to see the Historical Avenue on the lower ground floor, a fascinating collection of artifacts, memorabilia and photographs. Ms. Manka explained how Astor’s vision for The St. Regis New York to be a thoroughly modern property was realized. Astor included telephones in every room, a fire alarm system, central heating and central vacuum system, where the maids could simply plug the vacuum cleaner hose directly into wall sockets located throughout the hotel. (One of the sockets has been kept for posterity.) 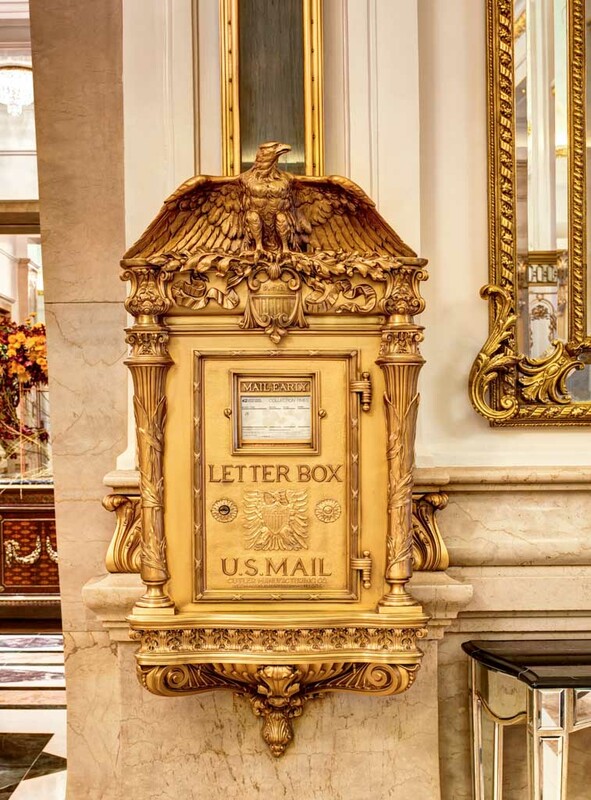 There was also a mail chute on every floor; the original ornate mailbox still has pride of place in the lobby, complete with U.S. federal eagle motif. 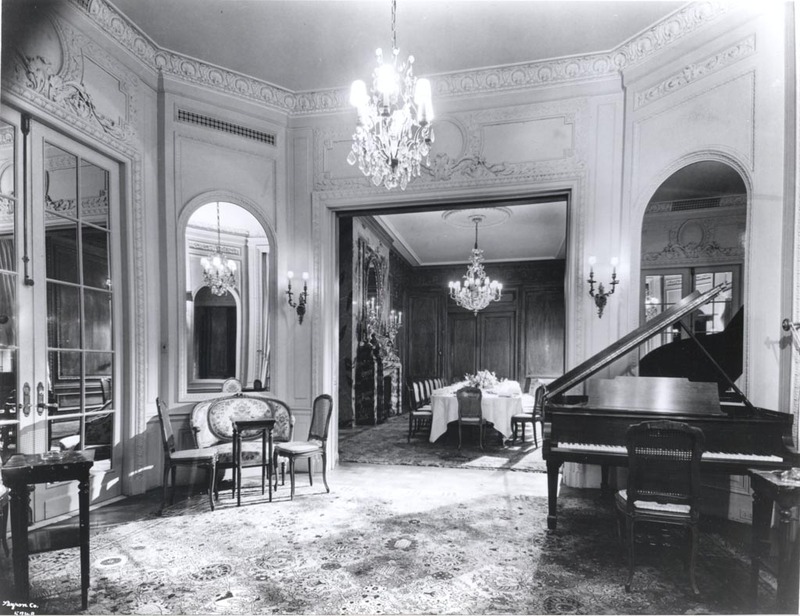 Astor’s most revolutionary innovation was a $300,000 air ventilation and purification system, where guests could control the temperature in each room, and air could circulate internally, even with windows and doors closed – predating air-conditioning. The system removed a barrel of dust a day, and in keeping with the luxury of The St. Regis, the stairs leading down to the filtration room were marble. Obviously. 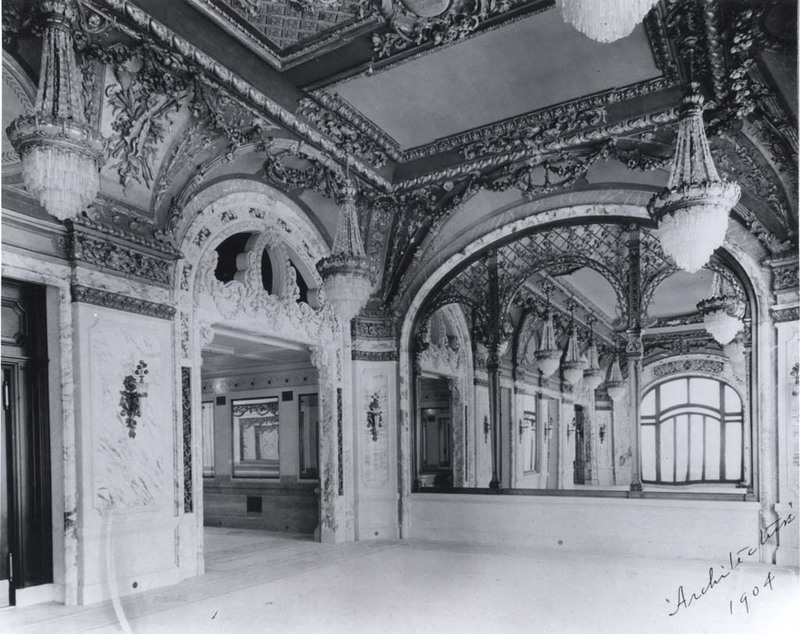 Ms. Manka took us up to the magnificent ballroom on the 20th floor – two additional floors were added in 1927. 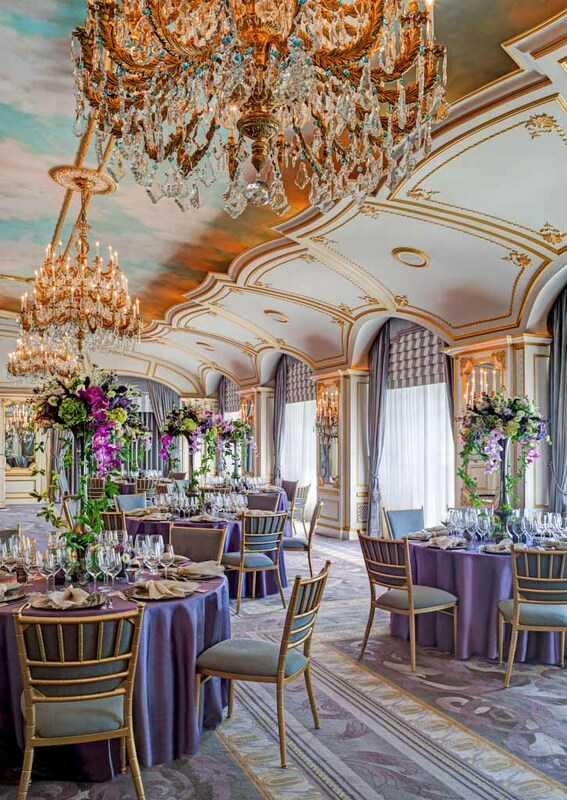 The ballroom features cloud-dappled, vaulted ceilings, original gilt chandeliers, and stunning views over Fifth Avenue and Central Park. 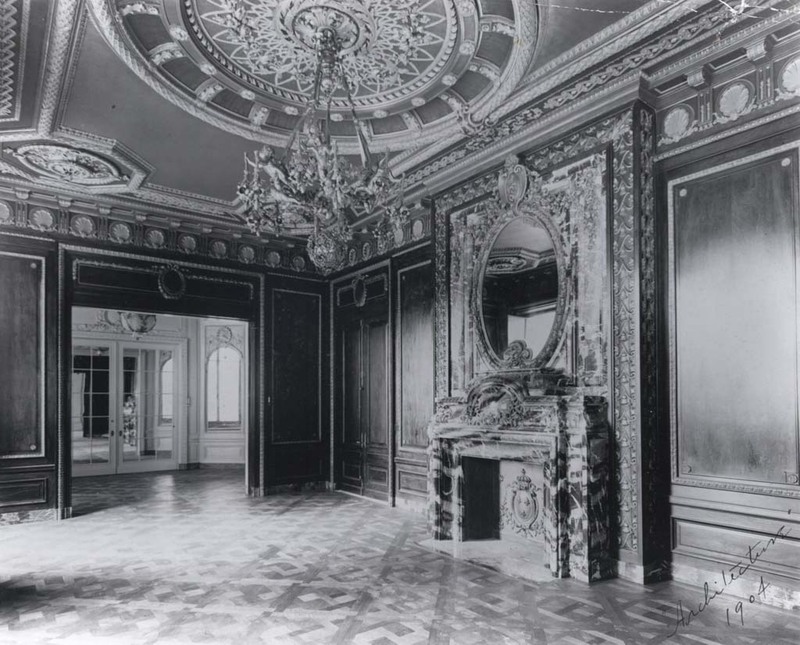 The ballroom reflects another time, a snapshot of refined elegance, though one wonders how refined it would have been during Mick Jagger’s 29th birthday celebrations in 1972 which concluded around 6am the following day. Apparently the proceedings included a cake decorated with a not-overly dressed woman. The mythical legend of a hotel are created by the guests, and if only the corridors of The St. Regis New York could be convinced to talk. The guest register has included names like Dietrich, Bogart, Hemmingway, Hitchcock, Jackie Kennedy, and Lennon who recorded a demo of Happy Xmas (War Is Over) in his room. There was also the infamous incident between Marilyn Monroe and Joe DiMaggio in 1954. 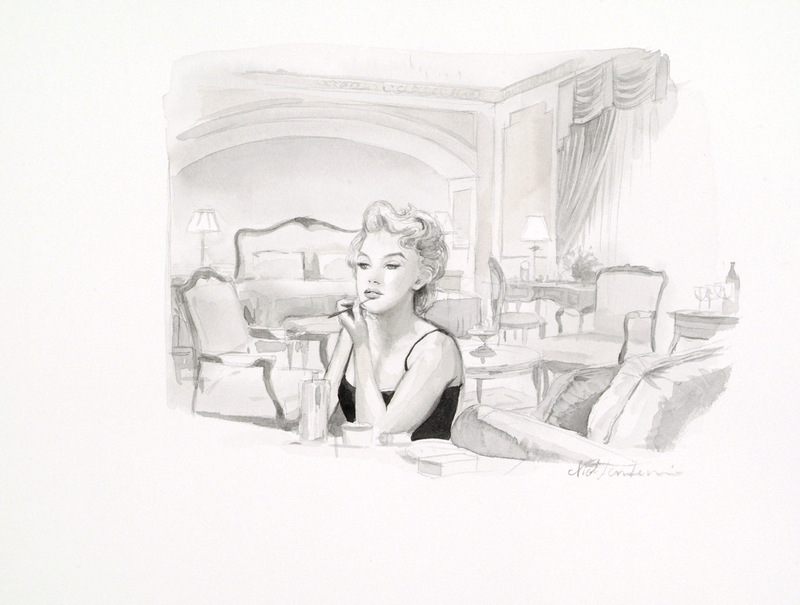 Monroe had been filming The Seven Year Itch in NYC and an argument over that iconic scene involving a subway grate and a white dress started on set and escalated into suite 1105. Every winter from 1934, Salvador Dali, his wife Gala and pet ocelot Babou would occupy Room 1610, a suite with an adjoining studio. Dali would hold court in his ‘résidence d’hiver en St. Regis’, wearing a cape made of dead bees, greeting visitors including Andy Warhol from his seven-foot chair, perched on the backs of four turtles. As one does. 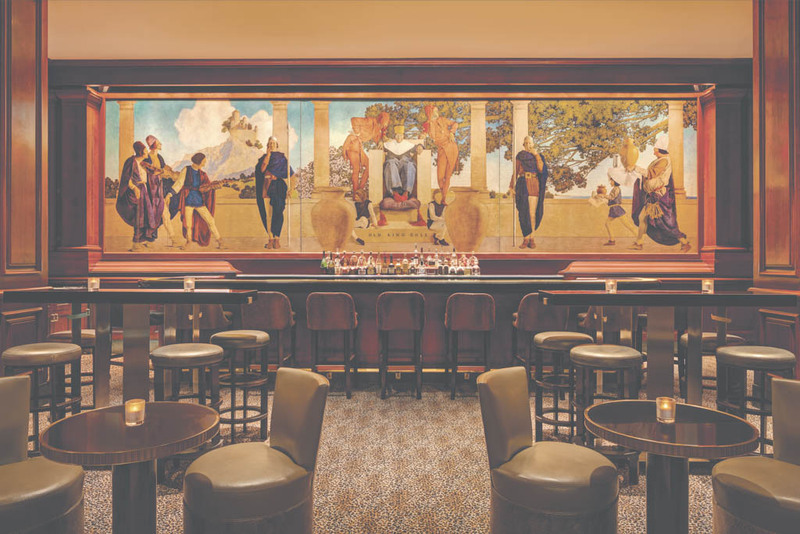 One can only imagine Dali and his wonderfully bizarre entourage sweeping into the treasured King Cole Bar – where bartender Fernand Petiot served America's first Bloody Mary to Russian prince Serge Obolensky in 1934 – with the centrepiece the wonderful nine-meter-wide mural Old King Cole created by Maxfield Parrish in 1906 adorning the back wall. Knowing all the secrets, gossip and intrigue of The St. Regis New York, maybe that is why Old King Cole has a smirk on his face. However, that’s another story….